Before you can make your way to Emporio Village, you need to first make your way to the island of Santorini. Since Santorini is so popular, you have a few options as to how you can get here. Although Santorini is a popular cruise stop, if you want to really spend a lot of time here, cruises aren’t a good option since you’d only be here for a limited time. If you want to really enjoy it here, you should either take a ferry into one of the ports or an airplane into the regional airport. 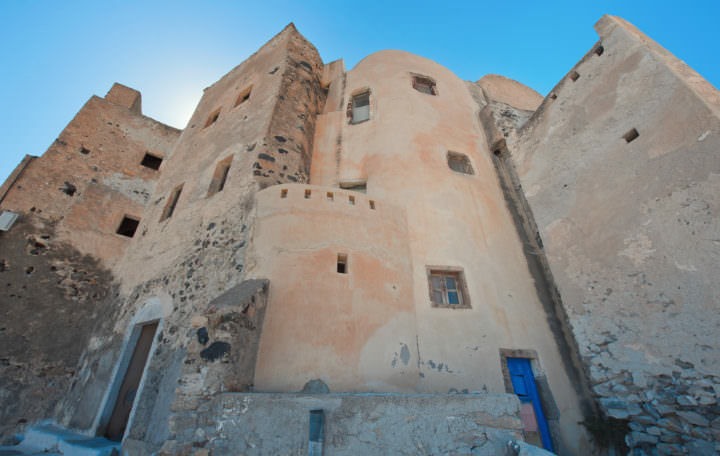 Emporio Village is only about 12 kilometers from Fira and it is incredibly close to the village of Perissa. Despite the fact that it feels out of the way, Emporio is actually convenient to access. Consider hiring a taxi or taking public transportation. This village is especially scenic because it is located at the base of Mount Prophet Elias. It is also conveniently located to Fira, which is a city that has a lot to do. 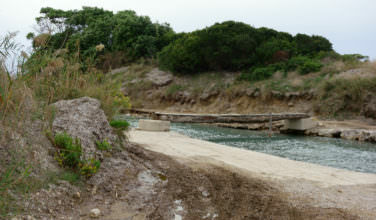 On its own, however, Emporio has its own charm and it is worthwhile to at least spend a day here. The village also has a Medieval presence and there are even some buildings here that come from that time period. There was a time when this village was a center of commercial activity in Santorini, but that was a long time ago. Now, it’s a quiet village that sees a small trickle of tourists each year. Other than that, villagers tend to go about their daily lives. There are plenty of things to do while in Emporio Village. First of all, this is an excellent village for strolling. You can easily spend hours wandering through the streets, looking at the charming homes and buildings, browsing through the shops, and getting a bite to eat. There are also two churches that are constructed in the Cycladic style, which is typical on the island. These churches are definitely worth a visit if they are open while you’re here. There is also an ancient castle that you’ll want to check out. Be sure to take plenty of photos! While on the island of Santorini, you should take the time to visit some of the villages in order to enjoy the charming look of the island. 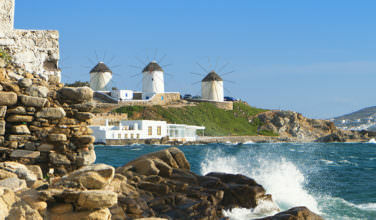 Emporio island, which bills itself as the largest village on the island, is one that you certainly won’t want to miss.